T0, T1, T2 for 2, 4 and 5 pax. 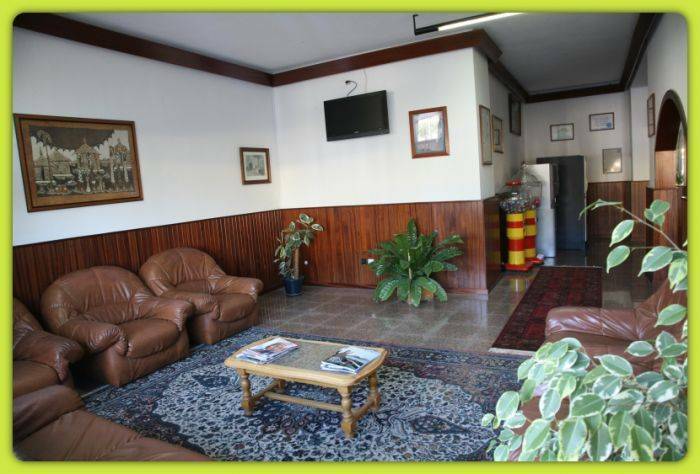 Tourist flats totally equipped, parking, recreation areas, green areas, outdoor pools, tennis courts, squash, etc., everything to grant you a nice stay and your wellbeing, assuring you a nice and calm holiday. 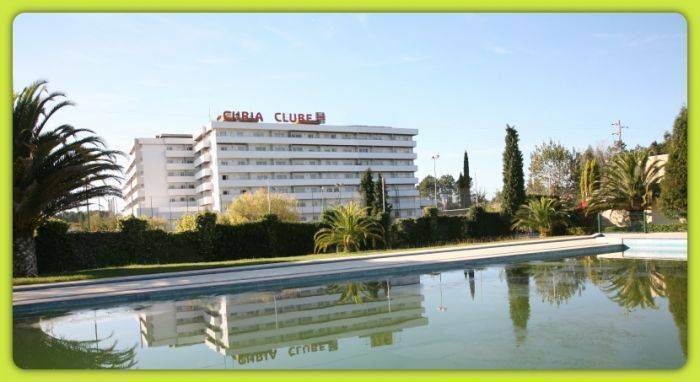 Located 22km from Coimbra, 28km from Aveiro and 13km from the highway exit at Mealhada, the complex Curia Clube is for all these reasons the ideal place for you or your family, as well as for meetings or business conferences, for it also possesses appropriate rooms for this effect. General 24-Hour Front Desk, Rooms/Facilities for Disabled Guests, Family Rooms, Elevator, Heating. Activities Tennis Court, Golf Course (within 3 km), Games Room, Billiards, Table Tennis, Squash, Outdoor Swimming Pool. Services Meeting/Banquet Facilities, Laundry, Tour Desk, Fax/Photocopying. Internet Wireless - Internet Hotspot is available in the entire hotel and costs EUR 1. 50 per hour. Guest Parking - Free private parking is possible on site. Curia is a beautiful place, green and calm. Ones health is carefully preserved and recovered. The spa offers a traditional resort allied to comfort and modern technology, which is used in the new building, finished in 1993. Its mineral - medicinal water has a calcium and magnesium sulphide nature and are especially recommended for the treatment of metabolic-endocrinous diseases, calculus and urinary infections, arterial hypertension, rheumatic and muscle-skeletal diseases. Curia is a great tourism centre in the heart of Portugal. It has perfect conditions for a nice fun and, at the same time, calm stay. For leisure, there are tennis courts, golf courses, bars, pubs, cinemas and tea rooms. You can find rest or isolation in the beautiful parks and gardens, in the lake, in the picturesque retreats and in the marvellous landscape. 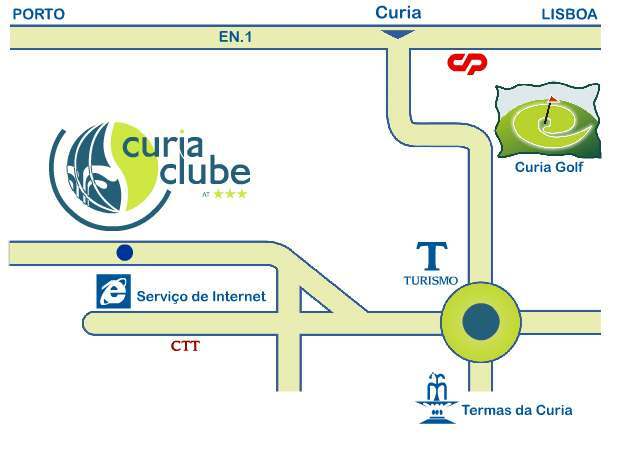 The way to Curia is easy. The roads are very good, because Curia is located in a privileged point, in the connection north-south of the country with the road that comes from Vilar Formoso. Curia is also part of a famous touristic triangle Curia-Luso-Buçaco. Besides, it is located a few miles away from Coimbra and at 20km of the sea. Cancellation - If cancelled up to 3 days before date of arrival, no fee will be charged. Children and extra beds - All children under 4 years stay free of charge when using existing bedding. 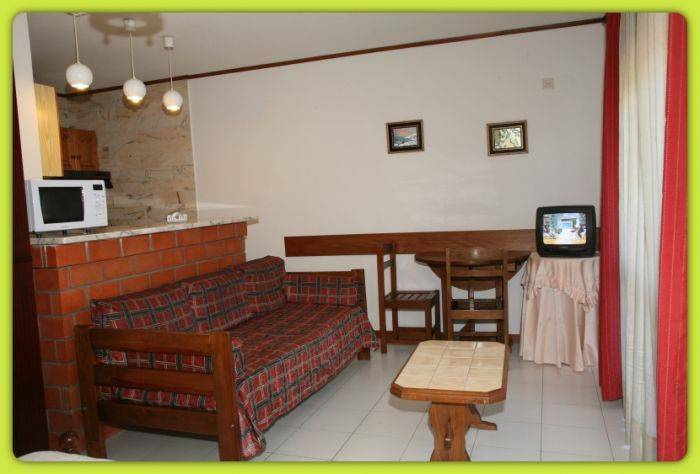 All children under 2 years are charged EUR 13.00 per night and person for cots. 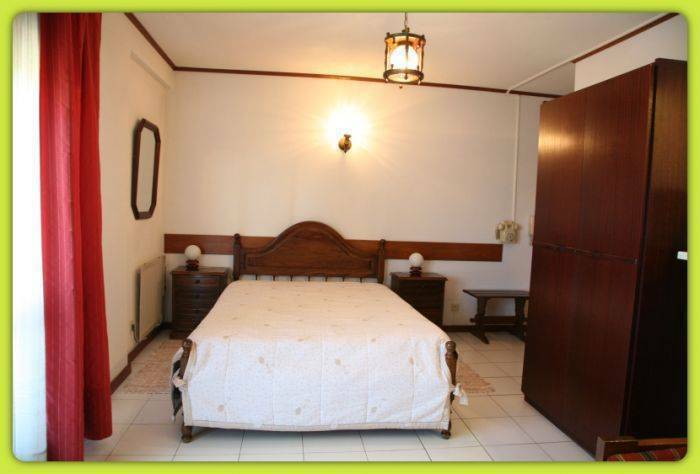 All older children or adults are charged EUR 13.00 per night and person for extra beds. Prepayment - The total price of the reservation will be charged on the day of arrival and is non-refundable.